Creative commons image by Danielle Scott. 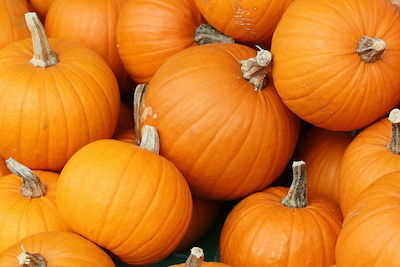 There are a number of fall and Halloween events this weekend. The Sparta Historical Society is hosting an open house. Waterloo village is hosting the Dog Walk of the Dead. There is a cemetery tour at Grey Towers. High Point State Park is doing a Open Hearth Cooking demonstration. Millbrook Village Society is also hosting an open house. 973-726-0883The Sparta Historical Society presents “A Penny Saved is a Penny Earned”, on loan from the Bruce Museum, Greenwich, CT. This bank exhibit explores some societal interests and influences, and demonstrates its contribution towards life in Sparta and nationwide in the late 1800s and early 1900s. Toy banks encourage saving when coins were scarce and worth much more in buying power than today. Join us for a walk through the Laurel Hill Cemetery, Milford’s original town graveyard, on the grounds of Grey Towers. Meet at the Visitor Pavilion in the parking lot. Or head over to the Pinchot family mausoleum at Milford Cemetery to learn about family members, including Gifford, who are buried there. Autumn is the season of bountiful harvests. Come watch the Friends of High Point State Park prepare a seasonal feast on the open hearth. Enjoy sample tastings of soups, meats, sides, and desserts that have all been cooked fireside. Seasonal activities for children will be offered. The event is free, but a suggested donation of $5 per family is appreciated. For more information on the Friends of High Point State Park and their events, please visitwww.friendshighpointstatepark.blogspot.com. Kids crafts and games and from 5-8 a guided lantern tour of a ghostly village filled with ghostly tales.